Nothing lights up the room like a dazzling smile. Professional teeth whitening and cleanings at Dental Studio at Rosslyn is the best way to keep your teeth white and bright. The expert dental team offers Opalescence® teeth whitening at their convenient, metro-accessible office in Arlington, Virginia. To achieve the brilliant smile you’ve always wished for, call or book an appointment online today. Why should I get my teeth professionally whitened and cleaned? Even if you’re one of the lucky few who already has radiant, white teeth, regular teeth cleanings are an essential part of your oral health care strategy. Teeth cleanings with a professional hygienist ensure the removal of troublesome plaque and tartar from every surface of your teeth, even the spots you can’t see. Additionally, once plaque turns to tartar, you can’t remove it with a regular toothbrush and floss alone. 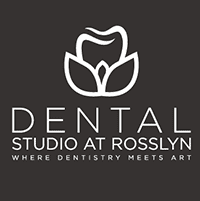 The team at Dental Studio at Rosslyn uses special instruments to provide a deep clean that’s impossible to achieve on your own. What types of stains can you remove with teeth whitening? The Opalescence system uses custom trays that fit comfortably over your teeth. The whitening effect comes from a patented gel formula that sits inside each tray and sticks to your teeth during treatment. The gel penetrates your teeth to break down stains at the molecular level. As cosmetic specialists, the team at Dental Studio at Rosslyn begins by evaluating your teeth and natural facial features to determine the best shade for you. Then, they design a customized treatment plan based on your needs. How long it takes to bring a patient's teeth to the desired color varies from person to person. Your dentist can give you the expected timeline for results. For a bright, brilliant smile, call or book an appointment online to learn more about professional teeth whitening and cleaning at Dental Studio at Rosslyn.